The New York Yankees and KING’S HAWAIIAN® will team up in 2018 to delight Yankee fans at two KING’S HAWAIIAN Grill locations in Sections 115 and 334 in Yankee Stadium with an outstanding lineup of dining options. The KING’S HAWAIIAN Grill will bring the Aloha Spirit to thousands of fans every game with a welcoming atmosphere and a premium barbecue menu featuring irresistible KING’S HAWAIIAN fare and the soft and fluffy bread products that the Taira family first introduced in Hawaii in 1950. A limited-number of RSVPs will be accepted when the Yankees host the Baltimore Orioles on Friday, April 6 for a special KING’S HAWAIIAN Grill menu review. 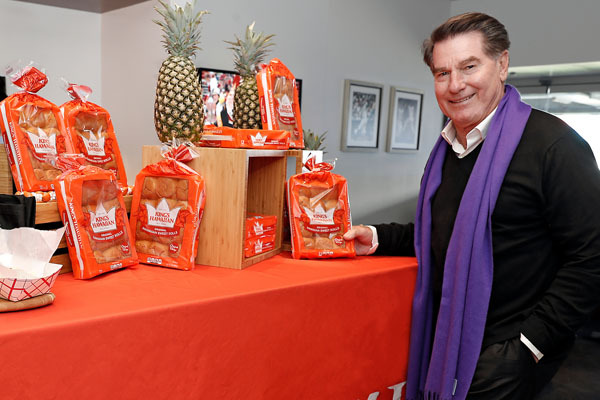 Members of the media will have the opportunity to taste the complete KING’S HAWAIIAN Grill menu while enjoying the game and discussing the recipes with Legends Hospitality Senior Executive Chef Matt Gibson and Los Angeles Dodgers Legend Steve Garvey. Upon approval, details regarding arrival location, on-site contact, etc. will be provided once attendance is confirmed. Garvey and New York Yankees 1996 World Series Champion Cecil Fielder will also be available for interviews on Saturday afternoon, April 7, during game three of the four-game series against the Orioles. The two will sign autographs for fans at both KING’S HAWAIIAN Grill locations. In addition to serving as a gathering point for fans of great food at the ballpark, KING’S HAWAIIAN has partnered with Garvey and several Yankees alumni to hold special events at the KING’s HAWAIIAN Grill throughout the season which will provide fans an opportunity to meet Garvey and a former Yankees player. KING’S HAWAIIAN will be making future announcements about these events during the 2018 season. 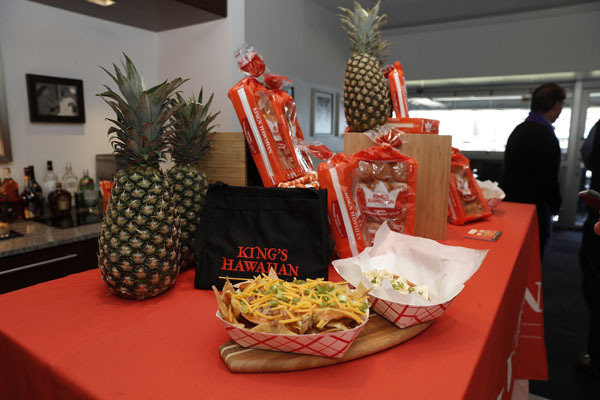 The KING’S HAWAIIAN Grill in-stadium concept began at Dodger Stadium in 2017 by the KING’S HAWAIIAN brand, which also owns and operates two restaurant/bakeries in Southern California and manages national distribution of its signature KING’S HAWAIIAN breads. This year KING’S HAWAIIAN will be coast-to-coast with grills at both Dodger Stadium and Yankee Stadium. Founded more than 60 years ago in Hilo, Hawaii, by Robert R. Taira, KING’S HAWAIIAN is a familyowned business that for three generations has been dedicated to providing irresistible, original recipe Hawaiian foods made with Aloha Spirit. A priority for the company is sharing the Hawaiian Way – a uniquely Hawaiian approach to hospitality based on graciousness, generosity, and a commitment to making everyone feel a part of the KING’S HAWAIIAN ‘ohana’ (extended family). KING’S HAWAIIAN makes the #1 branded dinner roll in the United States, along with other great Hawaiian foods. The company operates baking facilities in Torrance, California, and Oakwood, Georgia. For more information visit the company’s website at www.KingsHawaiian.com, “Like” KING’S HAWAIIAN on Facebook and Follow KING’S HAWAIIAN on Twitter. Founded in 1903, the New York Yankees are the most successful and popular team in Major League Baseball history, having won 27 championships while appearing in 40 World Series. The club plays its home games at Yankee Stadium, which is one of New York City’s most-frequented tourist destinations and home to numerous non-baseball events, including college football’s New Era Pinstripe Bowl. As a result of their on-field accomplishments and iconic interlocking “NY” logo, the Yankees are among the most recognized brands in the world. All New York Yankees trademarks and copyrights are owned by the New York Yankees and used with the permission of the New York Yankees.